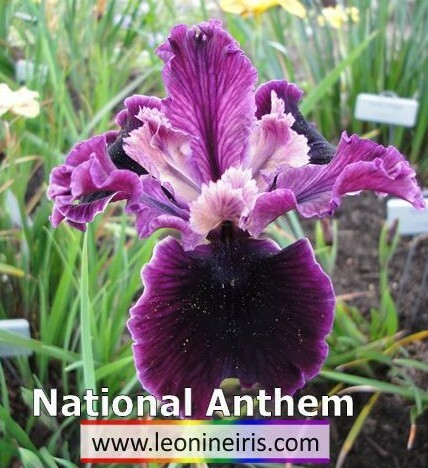 'National Anthem' (Joseph Ghio, R. 1989) Seedling #PK-282-Q2. CA, 16" (41 cm). Late midseason bloom. Royal purple, near black in center of falls. 'Bubbly' X 'Western World'. Bay View 1990. Honorable Mention 1995; Award of Merit 1999.